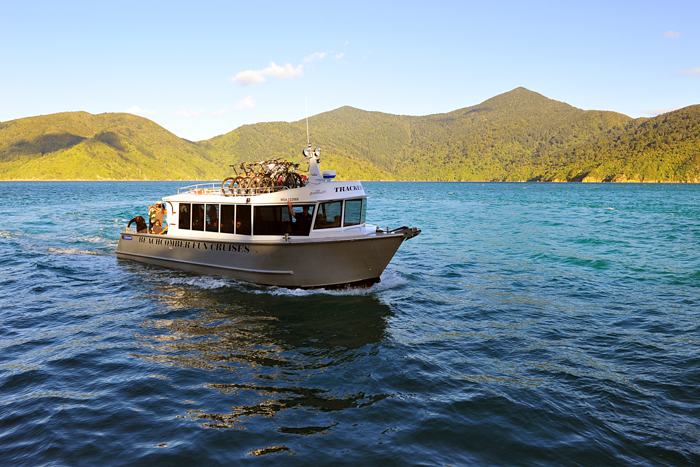 Beachcomber Cruises Picton are the Marlborough Sounds cruise, transport and Queen Charlotte Track specialists. Family owned and operated our boats are out on the water 364 days of the year, rain or shine. 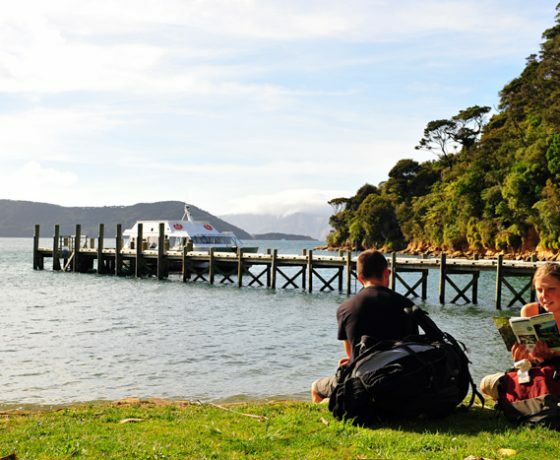 We are proud to work within an environment as stunning and naturally beautiful as the Marlborough Sounds and walking the Queen Charlotte Track is a fantastic way to experience what the area has to offer. 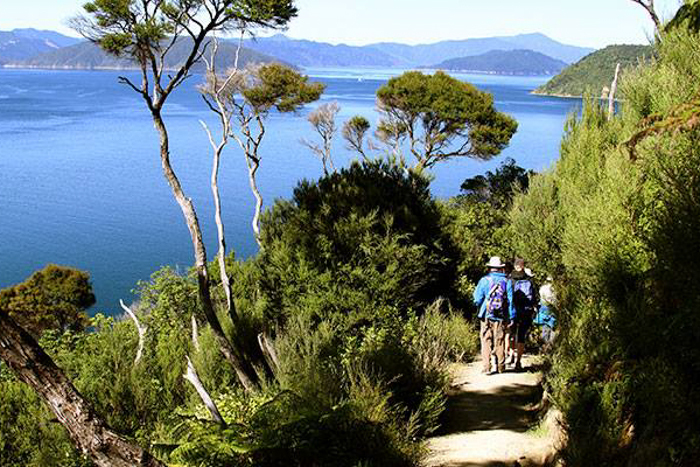 The Queen Charlotte Track is one of the top ten, finest coastal walking tracks in New Zealand. It starts at Ship Cove and winds its way through virgin native bush over saddles and along ridge lines offering panoramic views and magnificent scenery. 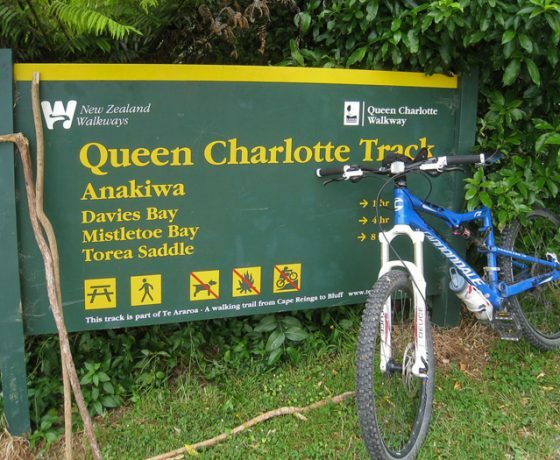 This 70km track is a unique partnership of public and private land which means the Queen Charlotte Track is able to offer a range of accommodation from basic camp sites to luxury lodges. Accessibility is also key in that walkers are able to choose whether to walk the track from beginning to end or sections, anything from a few hours to 3-4 days. 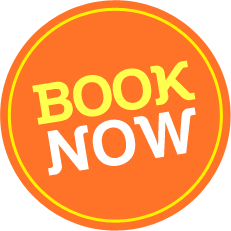 It can be difficult to know where to start when there are so many choices and options available but the Great Track & Pack Pass offers the ultimate in value and flexibility. 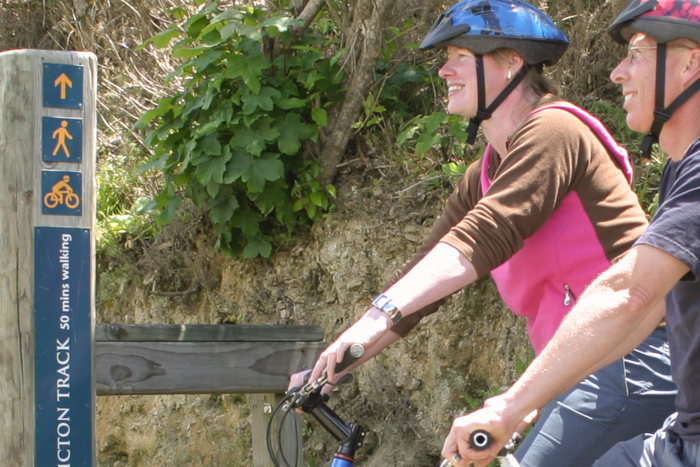 Choose your start and end point, walking/cycling distances and overnight stopovers where you luggage will be transferred each day. 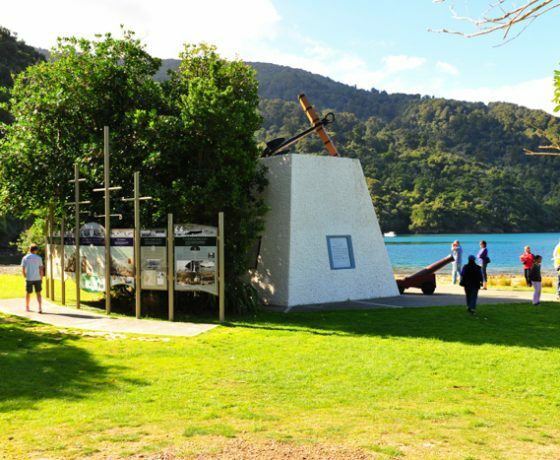 All you have to do is walk and enjoy a variety of landscapes from lush, green New Zealand forest with its vocal birdlife to sweeping panoramic views of the Marlborough Sounds. 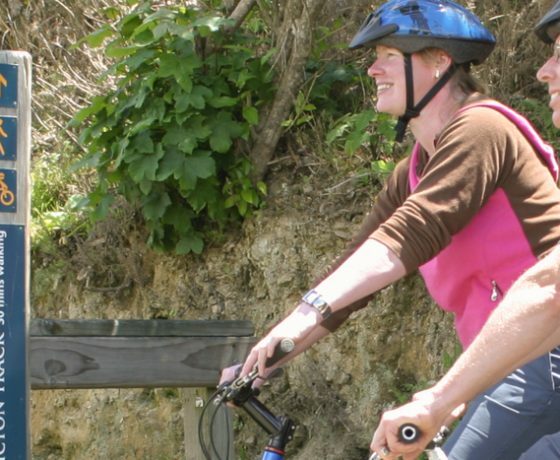 Walking Times: Between 3 and 5 hours, depending on fitness level. 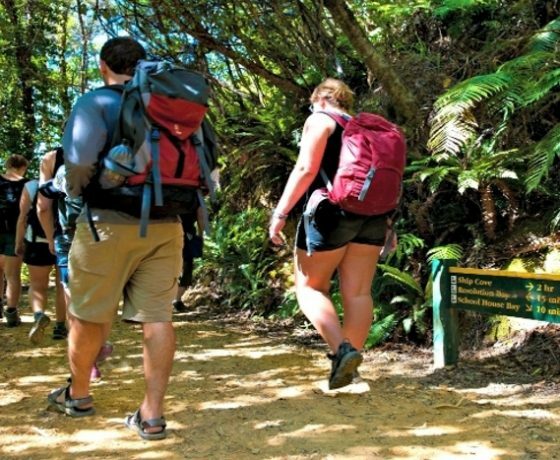 One of our most popular walking options, with a variety of scenery from rugged, grand to placidly beautiful Nature’s Best combines a scenic cruise with expert commentary, historical Ship Cove and an initially challenging but scenically rewarding 15 km walk to Furneaux Lodge. Here is an example of what you would expect on your day out! 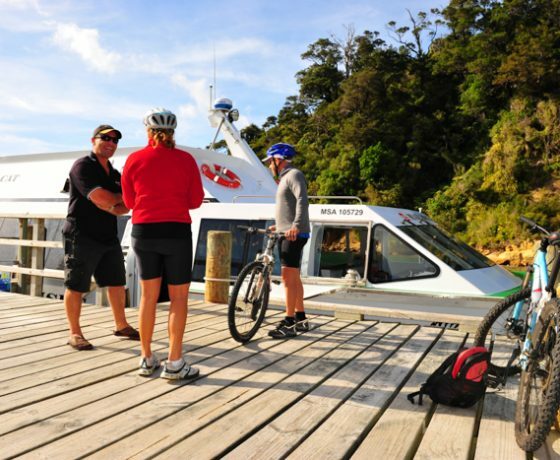 Your adventure will begin as you cruise north from Picton on one of our fleet through the drowned river valleys of the Queen Charlotte Sound and past idyllic bays. 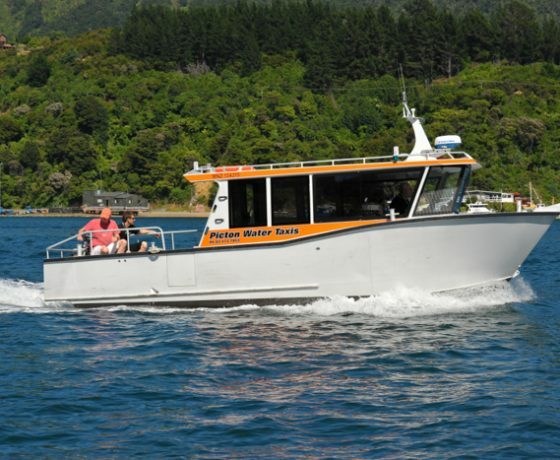 As we head towards Ship Cove your skipper will talk about the history, geology, flora and fauna of the area and – if there is time- will get closer to any passing wildlife, including dolphins who like to play in the wake of the boat. In the 1770s, sheltered Ship Cove provided safe anchorage, food, water and timber for explorer Captain James Cook and his ship crews on five separate occasions and saw some of the earliest sustained contact between Mäori and Europeans. 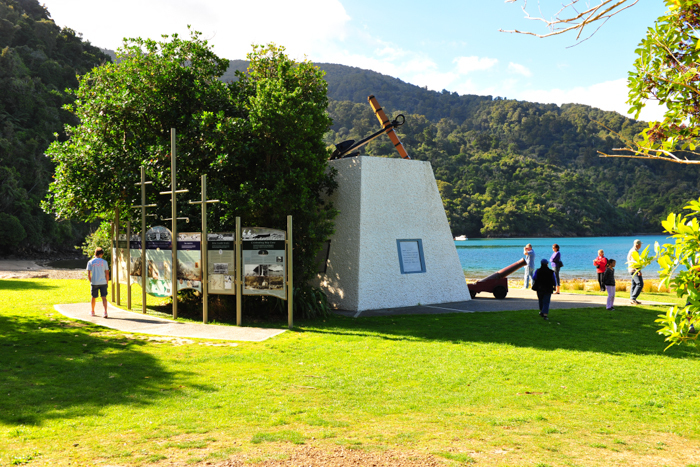 There is plenty of historical information at Ship Cove before you climb away from the beach through native forest regenerating beneath a high canopy of trees. 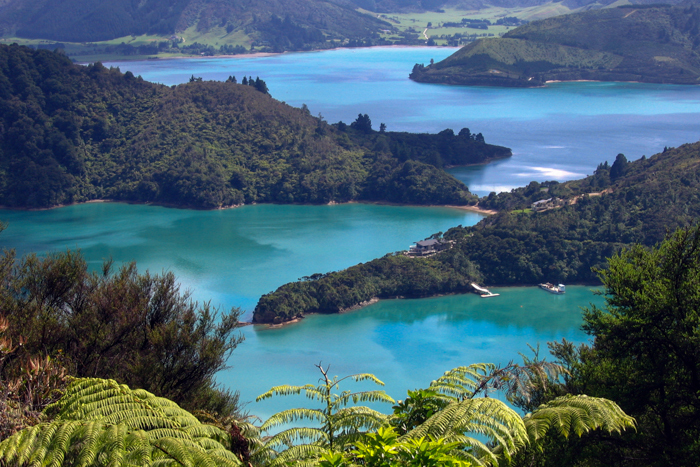 The forest includes manuka, kanuka, five finger and tree ferns and is home to many native New Zealand bird species: tui, fantails, silvereyes and tomtits. 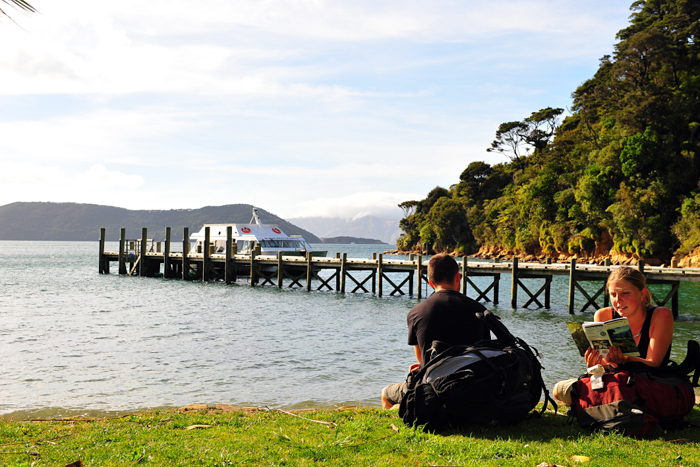 If you stop for a break, a curious weka may come to check you out. 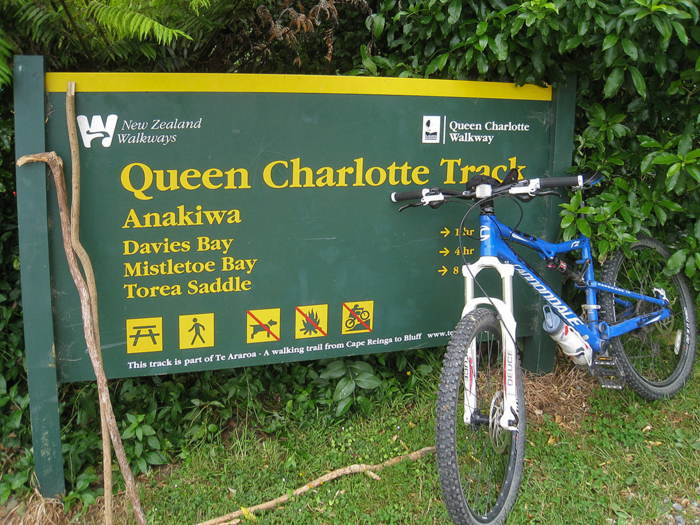 When you reach Tawa Saddle, stunning views of the Queen Charlotte Sound spread out before you. 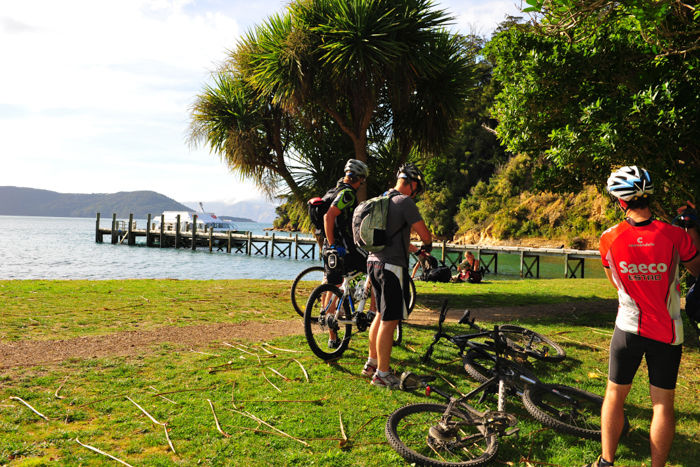 The track then drops into Resolution Bay and follows an old bridle path into Endeavour Inlet. 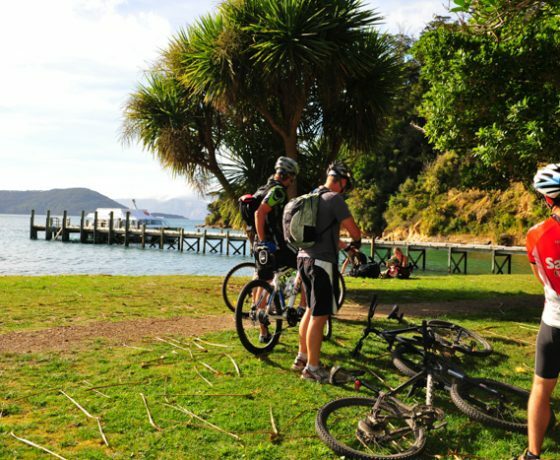 Furneaux Lodge at the head of the Endeavour Inlet is your destination. 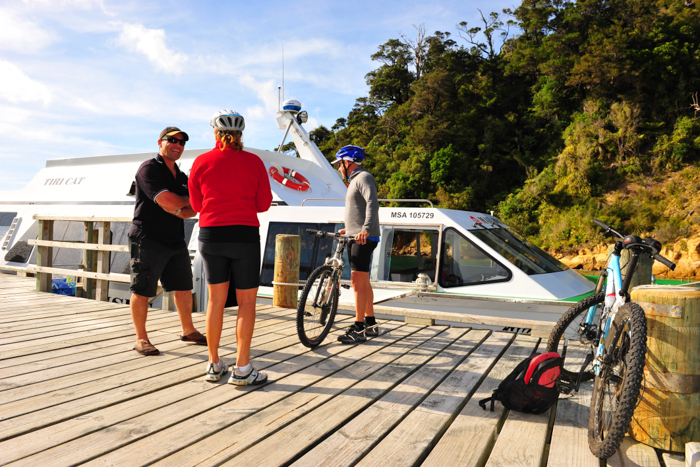 Here you can buy drinks and meals and relax before boarding your cruise vessel at approximately 4-4:30pm for your return to Picton. Arriving back at approximately 5.30-6pm. 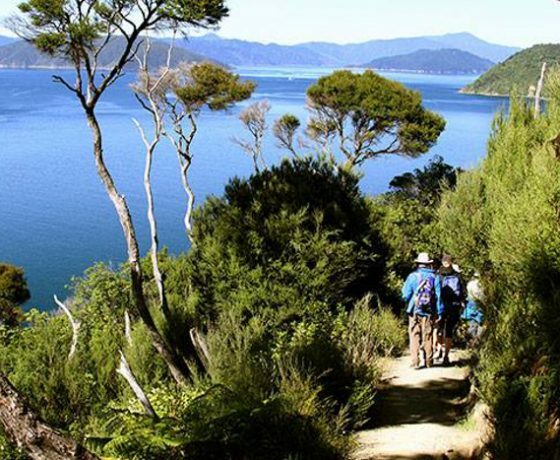 This full day walk from Torea Bay to Punga Cove is 23.6km long and is the most challenging and rewarding section of the Queen Charlotte Track. 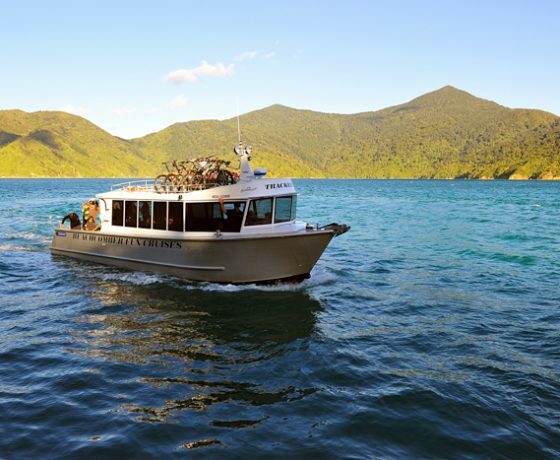 Offering panoramic views of the Queen Charlotte and Kenepuru Sounds this is a day full of breathtaking views. 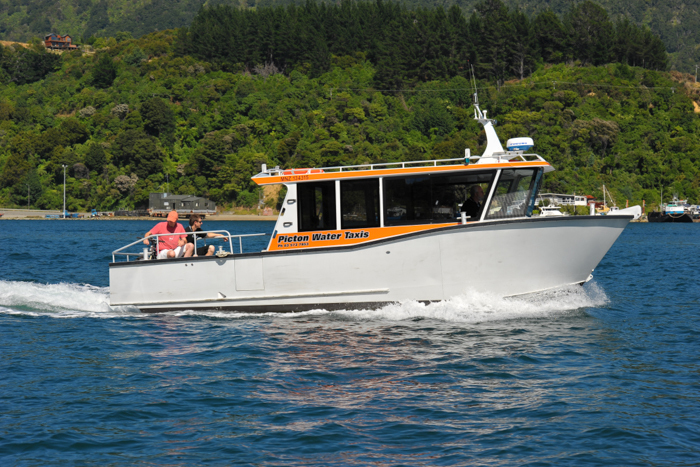 Depart Picton onboard our 8am departure (01 October-30 April only) and it’s a short cruise across to Torea Bay, approximately 20 minutes away. 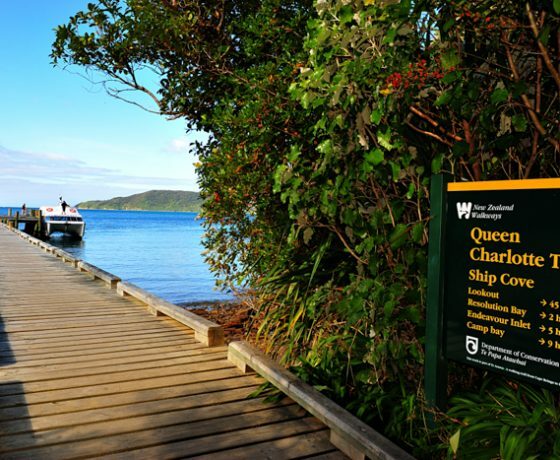 After a steep climb out of Torea Bay you will climb through native bush to the ridge which divides the Queen Charlotte and Kenepuru Sounds. The track weaves in and out of regenerating forest along the undulating ridge line. At your feet, you will see the bays and coves of the intricate coastline stretching into the distance. 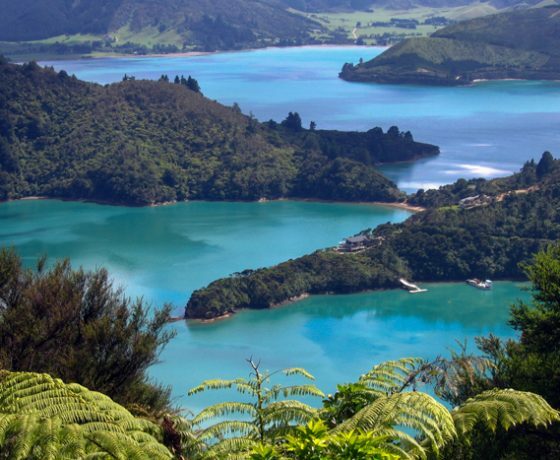 Sometimes you will see the opaque green waters of Kenepuru Sound, at other times the sparkling blue sea of Queen Charlotte Sound. 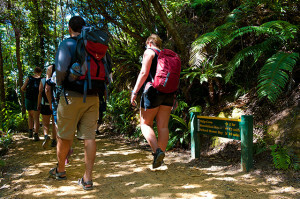 Watch out for weka and you may hear the liquid notes of bellbirds and other native New Zealand birds. 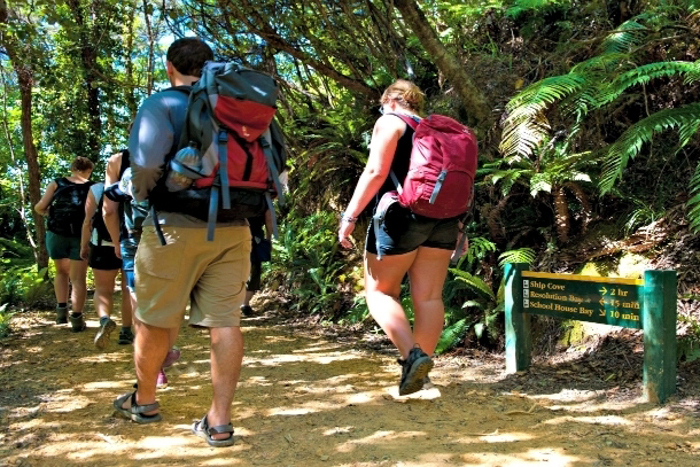 Enjoy spectacular views as you climb the main ridge between Queen Charlotte and Kenepuru Sounds, and follow old bridle paths through regenerating forest. Kamahi, kanuka, manuka and nikau palms provide shelter for ferns and delicate orchids and a home for weka, silver eyes, fantails and many other native birds. The track drops down to Mistletoe Bay through native tree ferns and beech trees where you will hear the songs of tui and bellbird. 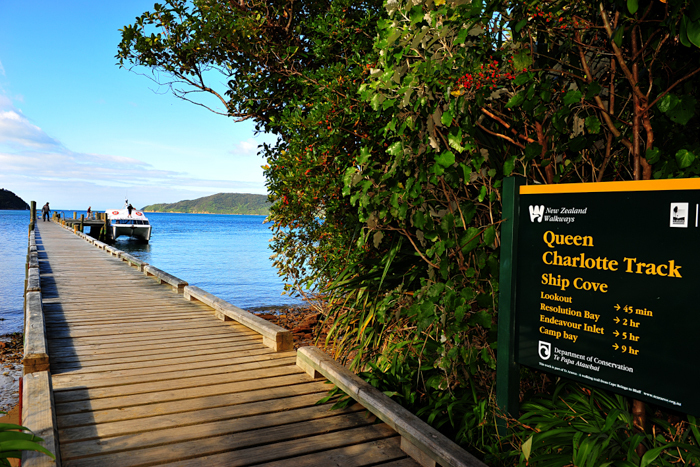 Mistletoe Bay is a popular picnic spot – you can admire the lovely colours of the sea, or jump in for a swim before your boat picks you up at 3.00pm.